Product Consist : Hand Tied Bouquet of 10 Red and white Roses, 1/2 kg Butterscotch Cake (Mgs on cake : I Love You ).along with Best Wishes Greeting Card. 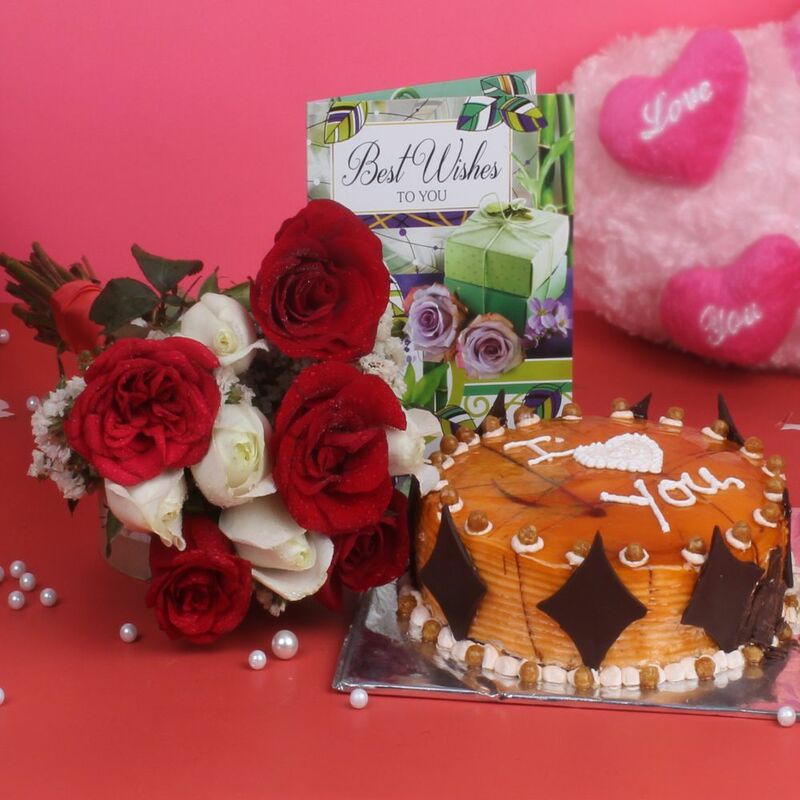 This is a classy hamper of white and red roses, butterscotch cake and best wishes greeting card that is all set to touch the heart of your special one, and fill their heart with the warmth of your love. 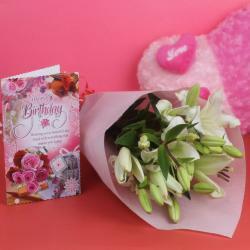 Make special occasion of your loved one a memorable affair by sending this beautiful hamper to them from Giftacrossindia.com. It includes a beautiful 10 red and white roses, which is teamed with a round shape butterscotch cake and best wishes greeting card. Such a heartwarming hamper is just what you need to delight your loved one, or give a subtle hint of admiration to your love interest. 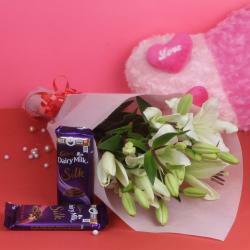 So, get going and book your order for this spectacular hamper now. We are sure, it will be close to their heart for a lifetime. 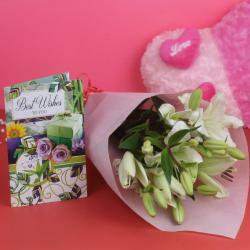 Product Consist: Hand Tied Bouquet of 10 Red and white Roses, 1/2 kg Butterscotch Cake along with Best Wishes Greeting Card.